Waste and residues are often used as raw material for the production of biofuels. Biofuels have to comply with European legal sustainability requirements as laid down in the “Renewable Energy Directive”. Better Biomass is one of the recognized certification schemes to demonstrate compliance with these sustainability requirements. If the biofuel is produced from non-agricultural, aquaculture, fishery or forestry waste and residues, the sustainability system shall also demonstrate that the verification of non-deliberate modification of production processes is part of the conformity assessment activity. The Dutch Minister of Infrastructure and Water Management has assessed Better Biomass in this respect and decided to approve this sustainability system for issuing proof of the absence of deliberate modification of production processes. The “Renewable Energy Directive” includes an annex with raw materials that are classified as waste or residue (also known as Annex IX). The energy content of these materials counts twice to achieve the target of the share of renewable energy for transport (10 % in 2020). Furthermore, the use of waste and residues is promoted to prevent the use of food crops. Because of these benefits, it might be attractive for companies to deliberately produce more of these materials. For this reason, sustainability systems are expected to ensure that production processes are not deliberately modified. Better Biomass also assesses whether raw materials that are classified as residual flow meet the definition of residual flow. This definition includes the non-deliberate modification of production processes. The sustainability system also contains specific rules for the certification bodies that assess companies. With a positive assessment, the company receives a Better Biomass certificate. The proof of absence of deliberate modification of production processes is stated with Better Biomass by a declaration on the certificate and in (the summary of) the audit report. 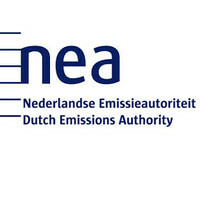 In the Netherlands, economic operators that deliver biofuels to the Dutch market must book the volumes in the registry administered by the Dutch Emission Authority (NEa). The economic operator receives renewable energy units (HBE) for the booked biofuels. The required HBEs are increasing annually with a growing target for the share of renewable energy. The NEa distinguishes three types of HBEs, which are linked to the nature of the raw materials. The economic value of an HBE can differ per type. The HBE obtained from the use of advanced biofuels is based on the materials in Annex IX. An economic operator can only receive such HBEs if it has a proof of absence of deliberate modification of production processes.